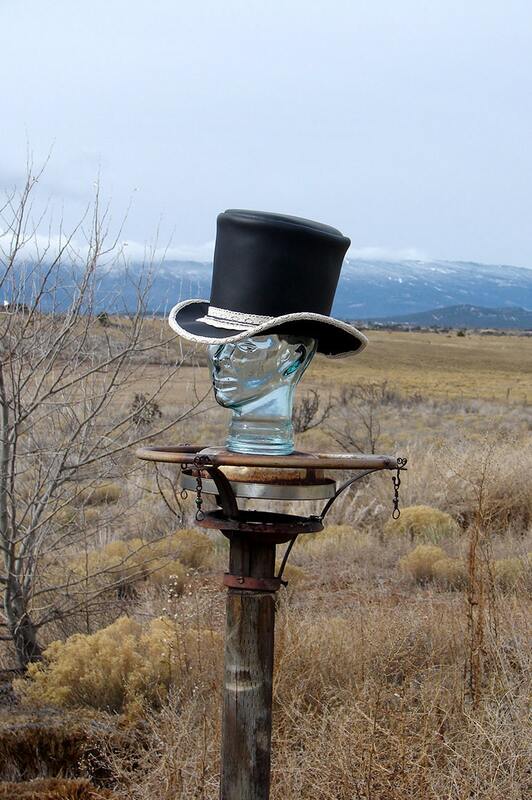 This Top Hat is a one-of-a-kind original, you will only find here. 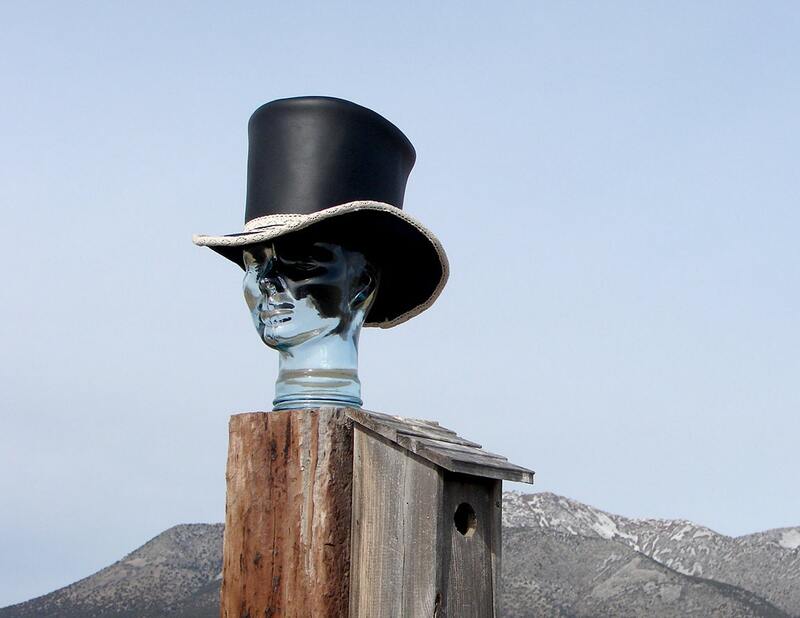 Constructed with quality materials, and entirely handmade, this hat is suited for long-term wear. With proper care, it should last a lifetime. 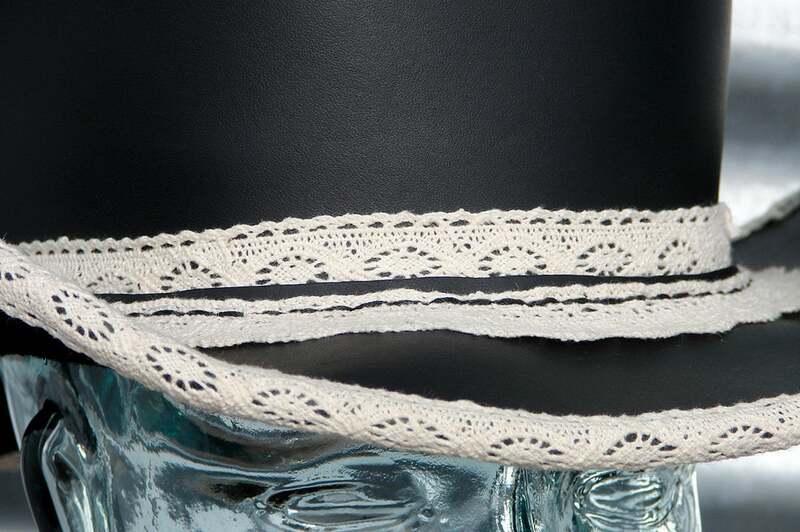 Black leather, accented with an antique style lace, this hat is designed with the free spirited and independent woman in mind. 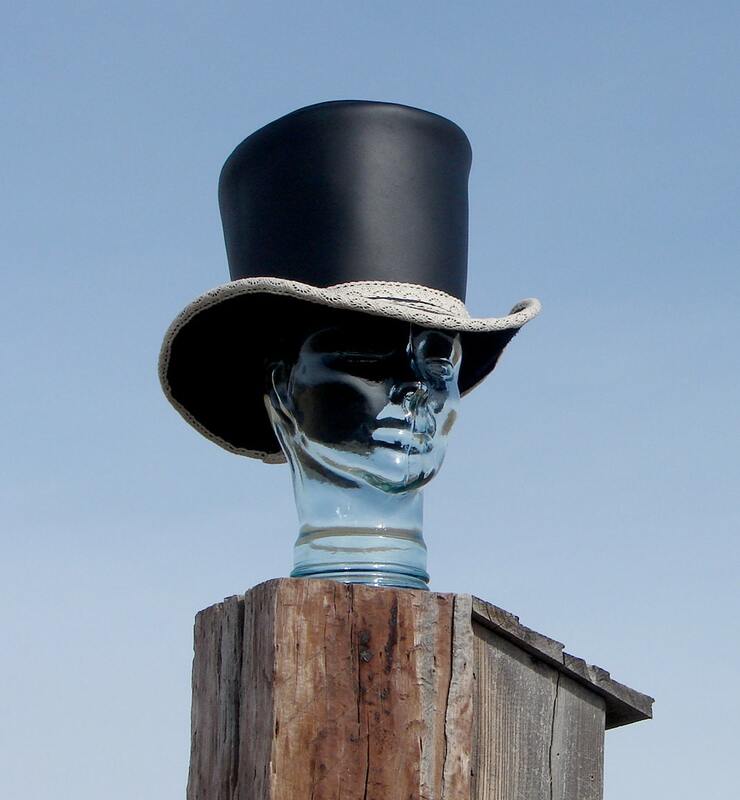 This hat features more generous proportions, it should accomodate larger head measurements. The hat size is about a seven and three eighths. 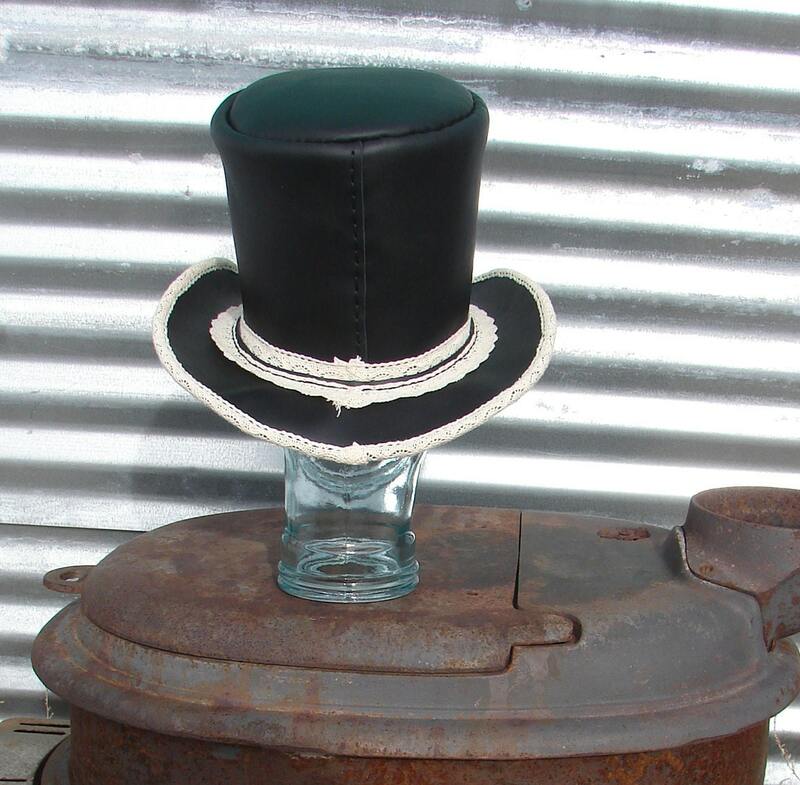 If your head measurement is approximately twenty-two and one half inches to about twenty three inches, this custom made top hat could be just perfect for you.